Coordinate system created using Juventae Fons observations for determinig rotation and 260 control points by Camichel. 40 was used in this map. 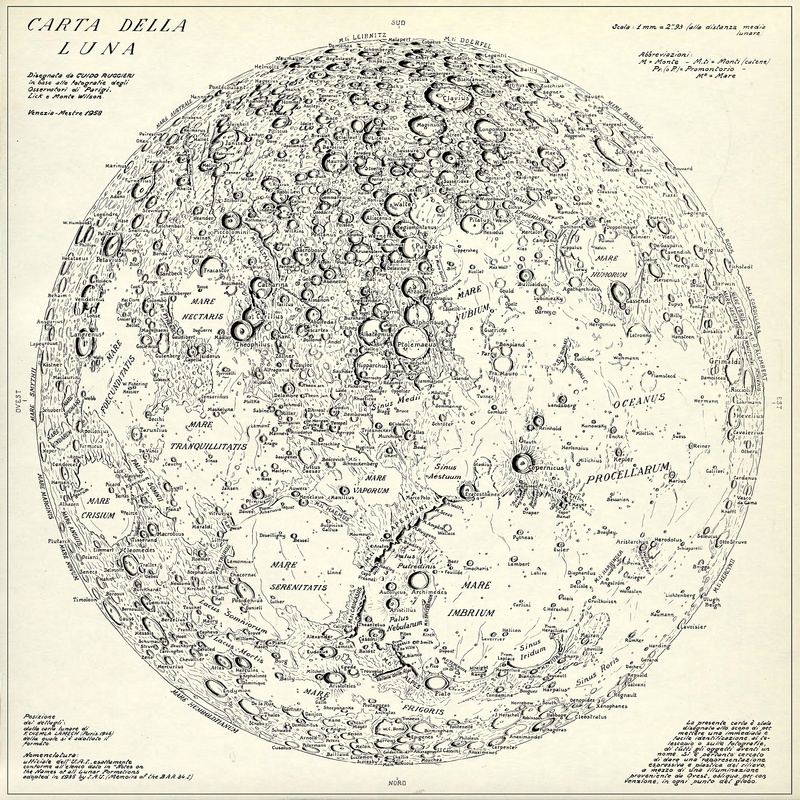 This map was made by Dr. de Mottoni (Giardini Glauco de Mottoni y Palacios), and presented at the 1958 Moscow IAU meeting. It represents the avegare positions of surface markings observed 1941-52. 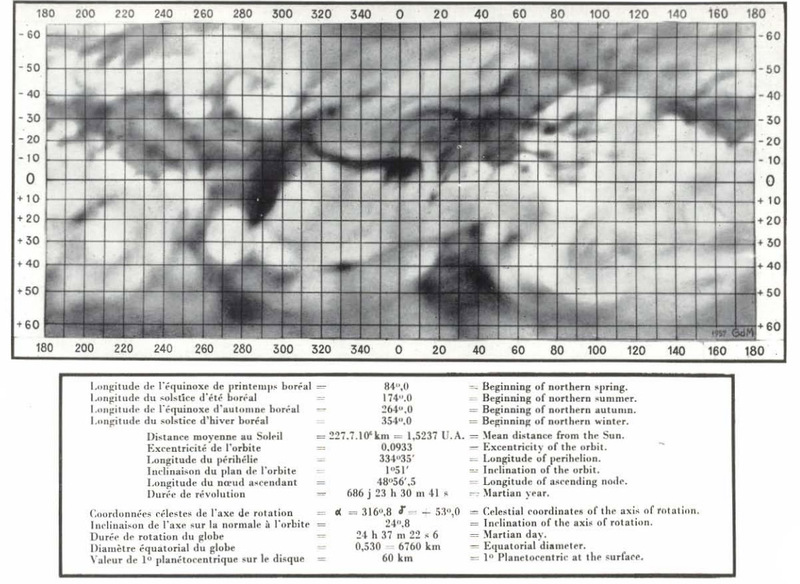 Source: A. Dollfus: Visual and photographic studies off planets at the Pic du Midi. In: Planets and Satellites, GP Kuiper and B Middlehurst, eds. Chicago Univ Press 543-571. 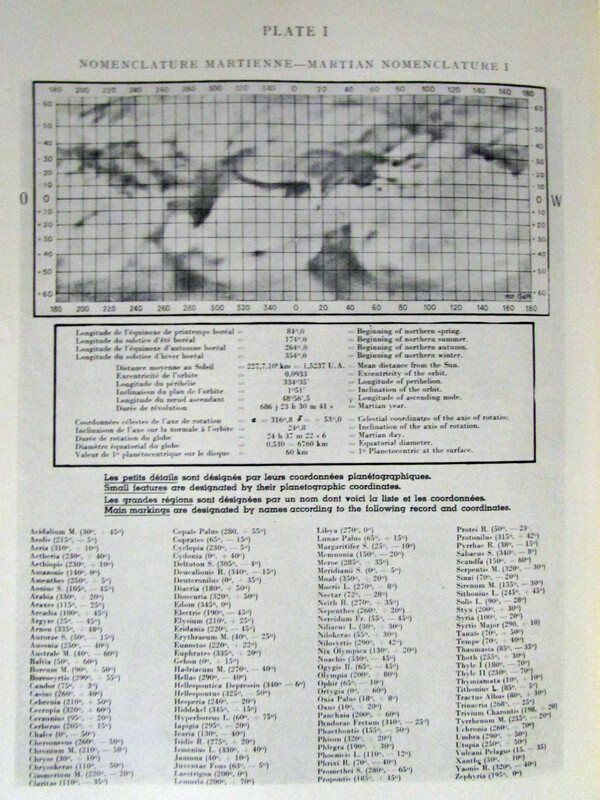 Measurements made at Pic du Midi 1941-54 by H. Camichel. 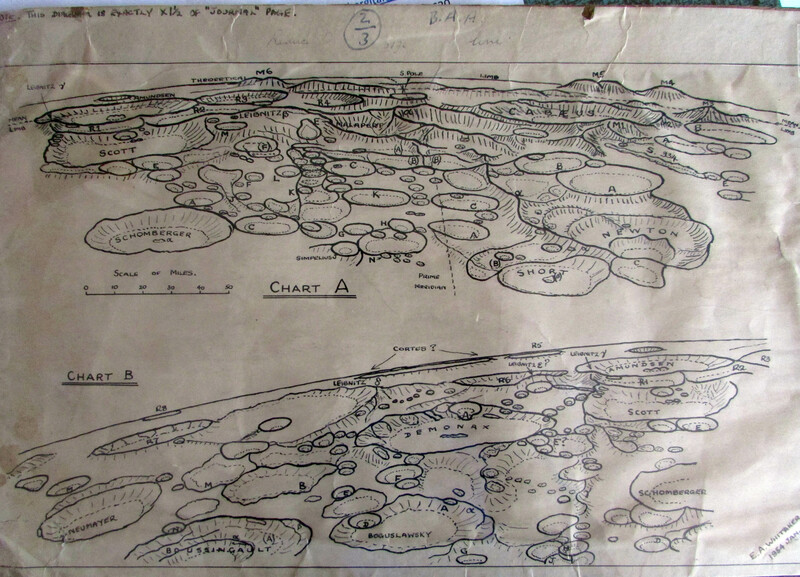 Of 260 control points, 38 were used in the map. 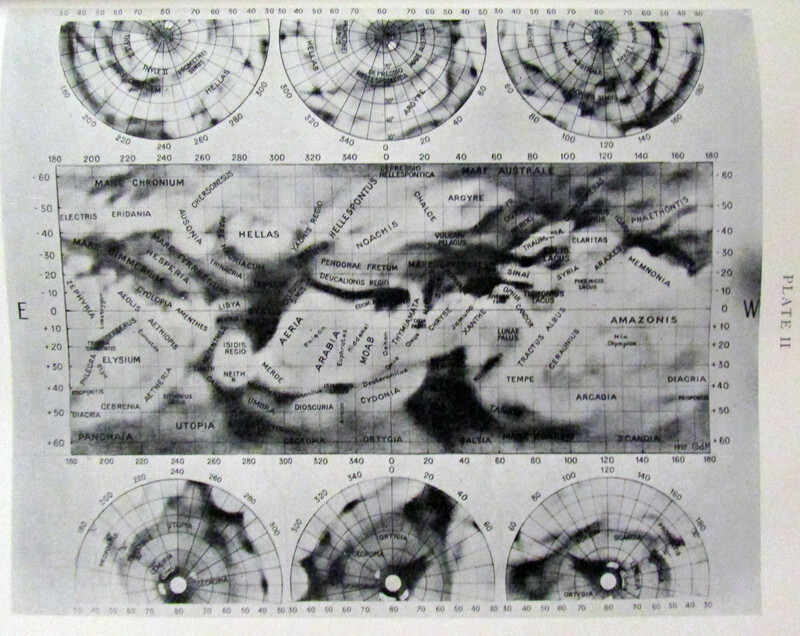 The map was produced from six “planisphere” maps by G. de Mottoni with the help of Pic du Midi photographs taken during 1941, 43, 46, 48, 50, 52 oppositions, respectively. 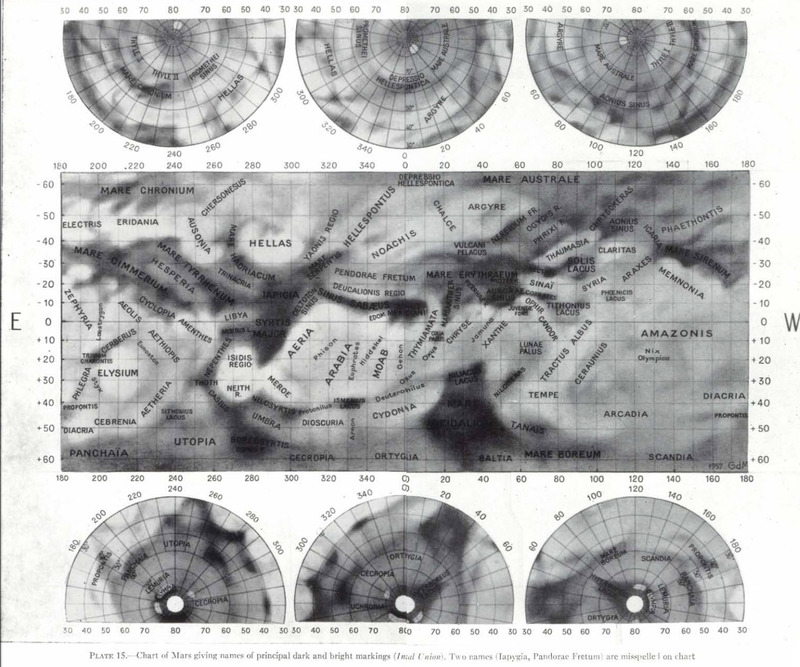 +60- -60 latitudes in Mercator, following Schiaparelly, and polar azimuthal equidistant projection. Source: Transactions of the International Astronomical Union, Moscow, August 12-20, 1958: Cambridge University Press, v. 10, pl. 1, p. 262. 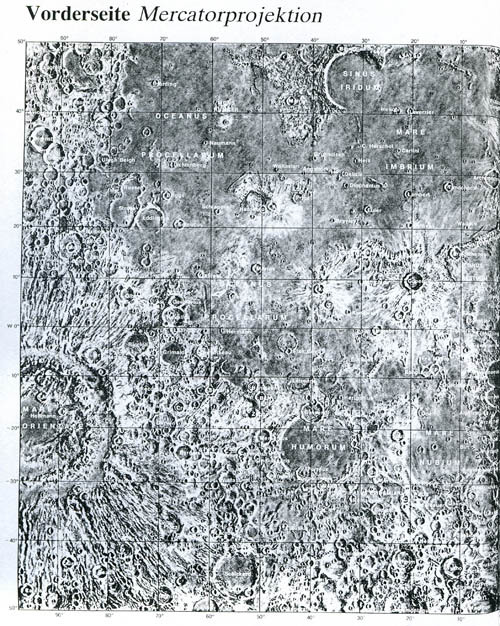 Source: W. R. Corliss: The Moon and The Planets. The sourcebook project 1985. 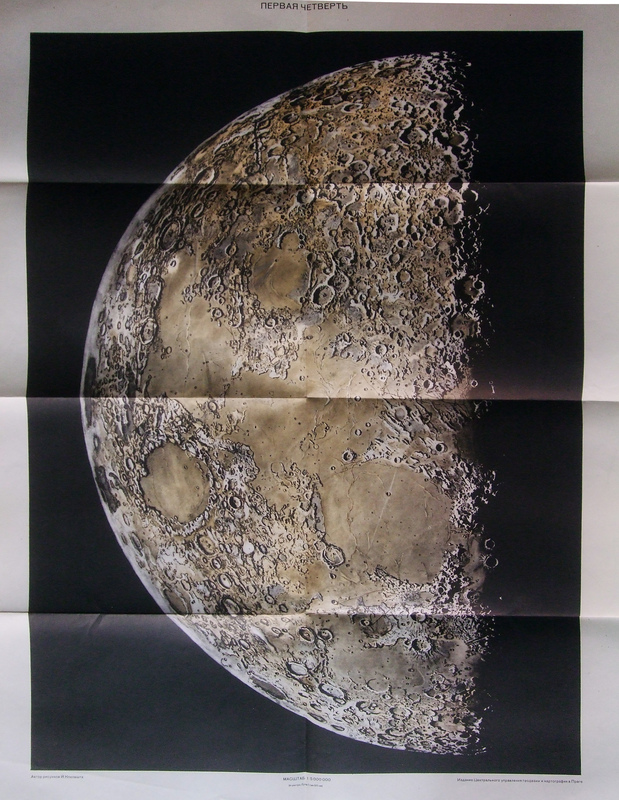 Reference: Patrick Moore: Der Mond. Herder.